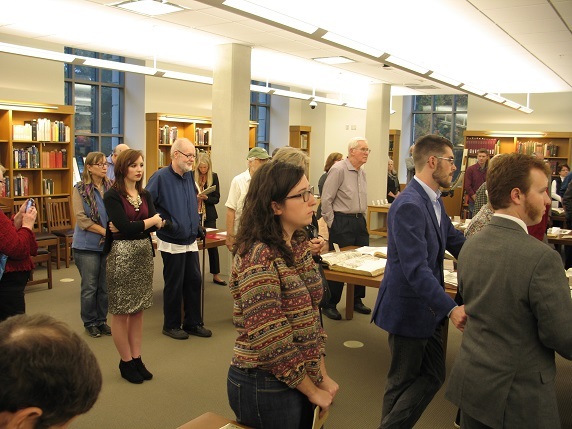 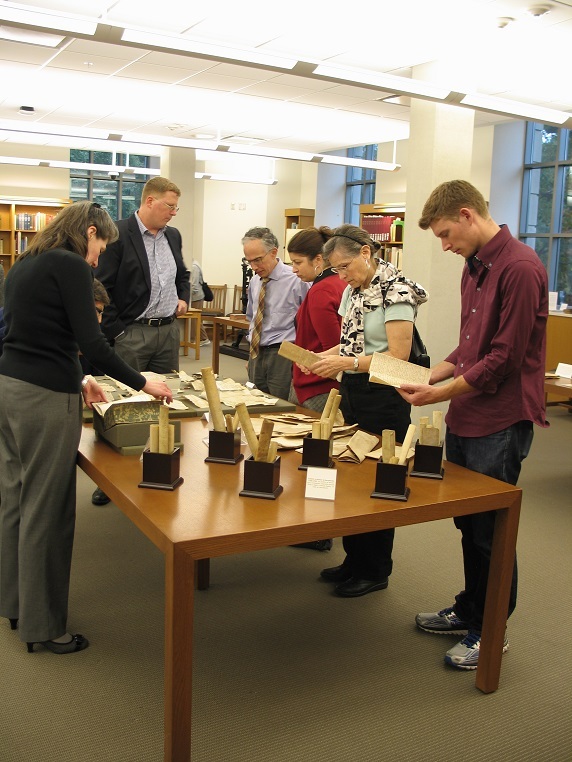 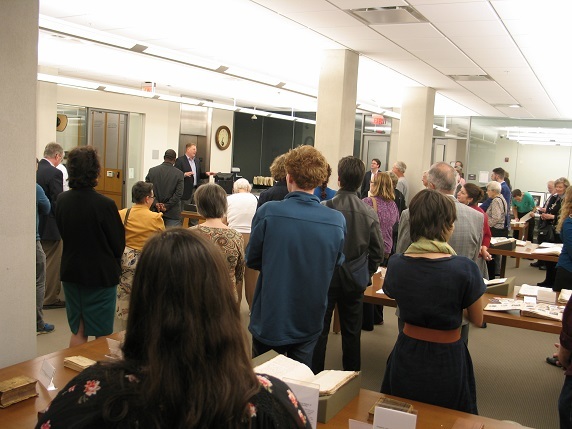 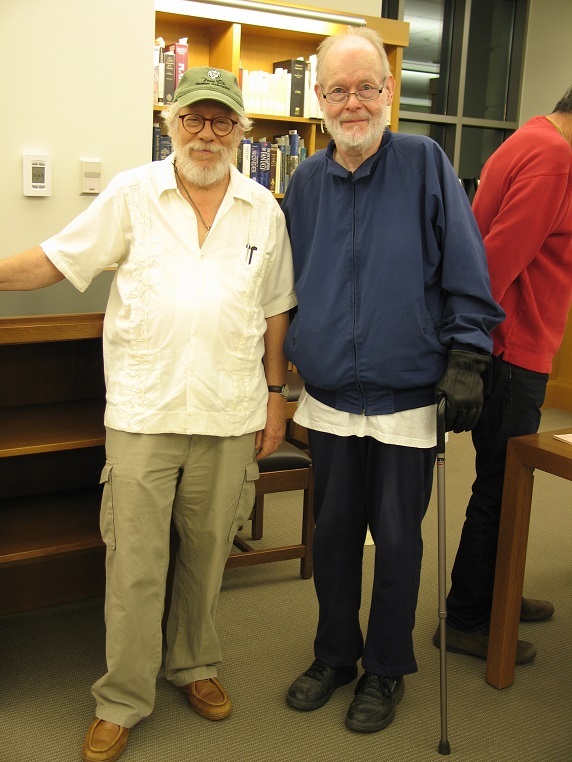 On Thursday, 22 October 2015, the Rare Books & Manuscripts Center at OHIO STATE UNIVERSITY in Columbus sponsored an exhibition of recent acquisitions. 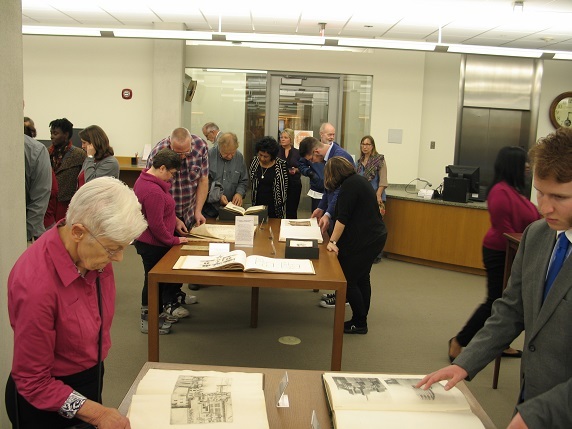 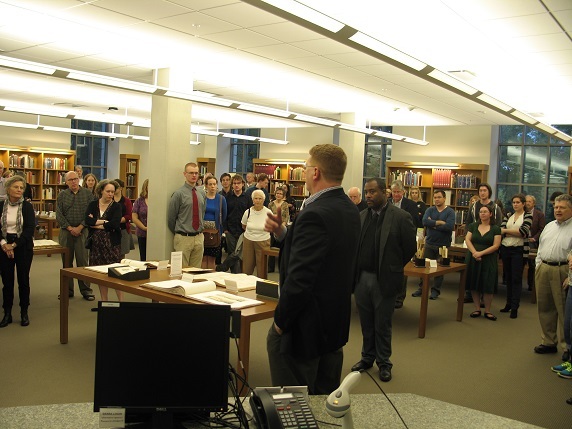 This exhibition, beginning with “Preview Night” in the Creighton Reading Room of Thompson Library, showcased old and new books added to the RBMC collections on campus during 2015. 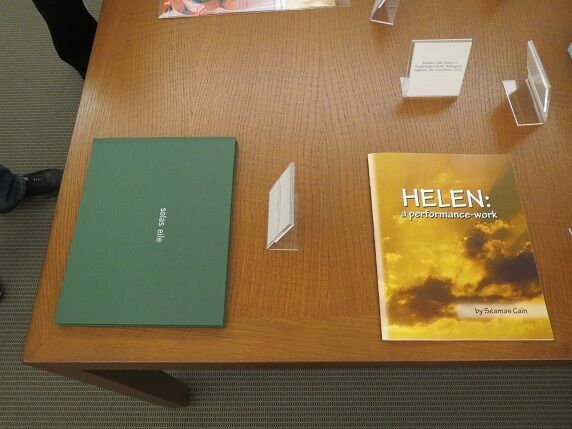 From Luca Pacioli's “Divina proportione,” published in 1509 by Paganino de Paganini in Venice, Italy, to Séamas Cain's “Solas eile,” published in 2013 by The Wurm Press at Portarlington, County Laois, Ireland, as well as Cain's “Helen : a performance-work,” published by The Otter Press in Wellington, Shropshire, England in 2014, bibliophiles were presented with a diverse array of unusual publications. 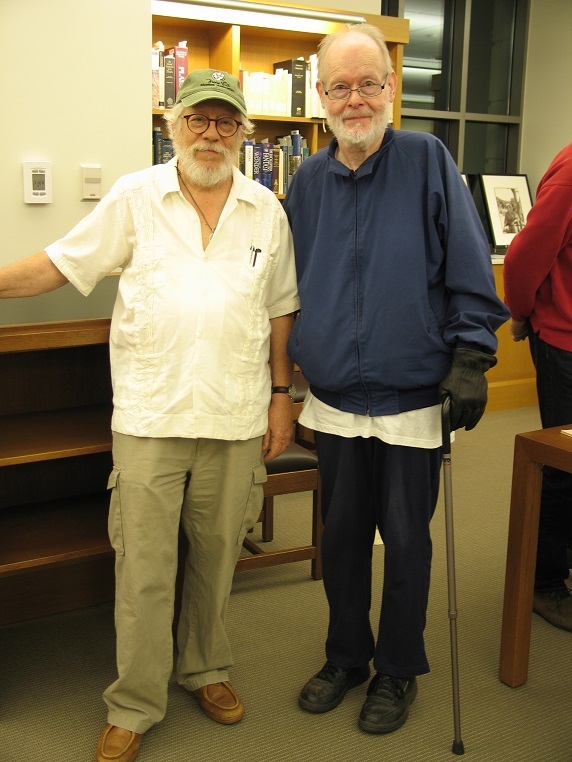 Cain's books have been added to THE AVANT WRITING COLLECTION in Thompson Library. 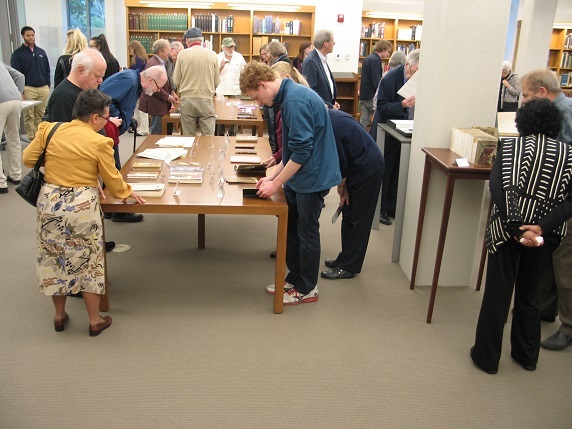 For more information about the AWC, read Catherine Mehrl and John M. Bennett's descriptive article, “Experimentalist Writing and Art at the July First Saturday,” published on page 25 through page 27 of the ALDUS SOCIETY NOTES, the issue for Autumn of 2015, Volume 15, Issue Number 3. 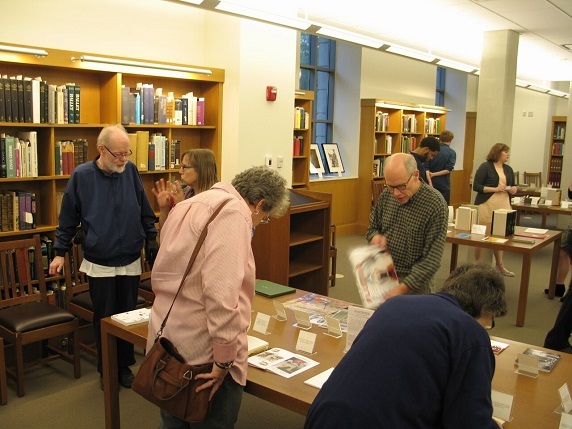 Photographs of “Preview Night” by Lisa Iacobellis.